So this week has not been a good weak for me and my ties. It appears that I may have ruined 2 of my favorite ties. The first was done in by the infamous nacho cheese, the second by my good friend the Latte. I thought the ties were done, and was ready to try to figure out how to help them move peacefully on into the tie after-life when I decided to see if there was any way to salvage them. I’ve had friends pay for drycleaners to professionally destroy their ties, so I knew that was out. I turn to google, as usual, for a solution. I found many options but for the most part they were unhelpful. Here is a somewhat helpful piece from ToTieATie.com. Ties are made of delicate fabrics such as silk. If you spill ink, coffee, juice, etc on your tie, it is difficult to remove the stain and very often the tie is permanently ruined. Even if you manage to get the stain out of the tie, the cleaning process will damage the tie and it will not look as nice as before, especially for silk ties. Hence, be careful and not to get any stains on the tie in the first place. If unfortunately you spill something on your tie, blot the stain with a tissue or handkerchief. Remember not to rub the stain since it will enlarge the affected area. After that you may use a moistened washcloth to rub the stain slightly and see if the stain can be removed. Then use a hair-drier to get rid of the moistness left. Do not hold the hair-drier too close to the tie since high temperature can damage the fabric. If that’s not successful, you may try cleaning it in water by hand. (Note: The tie may shrink if you clean it with water. Also, you must not put a tie in a washing machine.) Soak the stain in water and slightly rub the stain with your hand. If a mild cleaning agent is used, you should first apply a little of it at the back of your tie (or other not easily seen places) to check if the cleaning agent will weaken the color or damage the fabric of the tie. Another choice is to send your tie to a dry-cleaner. However, note that the chemicals used in dry-cleaning will make damages to your tie, even if the dry-cleaner is among the best ones. Furthermore, a silk tie will lose its shine after dry-cleaning. Remember to point out the stain to the dry-cleaner. This ensures that the dry-cleaner will pay attention to the stain during the dry-cleaning process. Again the dry-cleaners is a bit of a risk, but if you’ve try the above to no avail it could be your best last ditch effort. Or you could always turn to a good tie rental solution like tiesociet.com. If you guys have any solutions let us know. Once you’ve put together a nice outfit and perfectly matched your shirt to your tie. You want to add the finishing touch to your tie. The Dimple is the sign that you care not only about what you wear, but HOW you wear it. It’s the little devil in the detail that can get you noticed or rather have the person/people who need to notice you. Have you ever seen the president or any presidential candidate (keep an eye out for Romney/Ryan and Obama/Biden’s neck-wear this debate season) with a carefully tied necktie without a dimple? Nope! 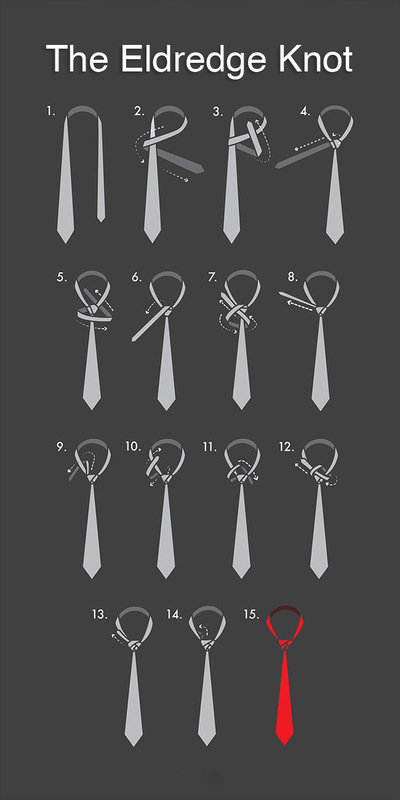 Go ahead and tie your tie, as we have shown before here. 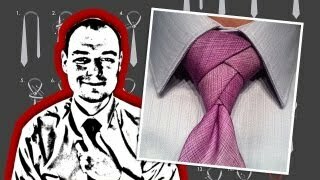 Before you tighten the knot, place your index finger bellow the knot in the middle and form a hollow by squeezing the two sides of the necktie. Then tighten your knot and gradually slip your finger out. The dimple should remain in the center. Dimple tend to form better in heavy and more course fabrics. If you still can’t get after several tries, you could always resort to a commercial product such as the Dimple Clip.